This course will guide you through all the stages needed to create beautiful designs onto glass, using outliners and special effects with glass paints. You don't have to be an artist to produce a glass painting masterpiece ~ I have many decorative patterns waiting to be enhanced with colour. 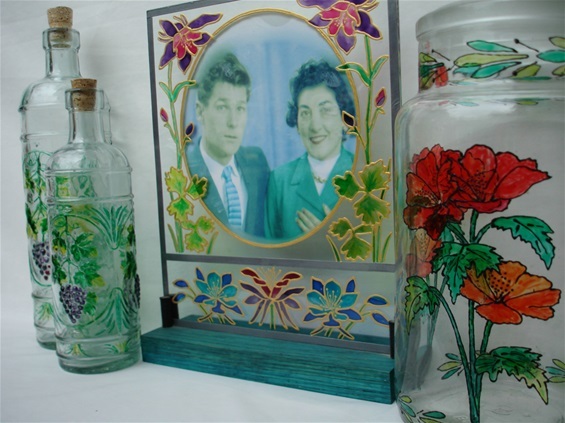 As with silk painting, this craft is also a relaxing way to transform items of glass into unique pieces of artwork.